Actor Jussie Smollett smiles and waves to supporters before leaving Cook County Court after his charges were dropped in Chicago, March 26, 2019. The city of Chicago is suing "Empire" actor to recoup the cost of investigating his report of a racist, anti-gay attack. City lawyers filed a civil lawsuit Thursday, days after Smollett refused a city demand that he pay more than $130,000 to reimburse Chicago. 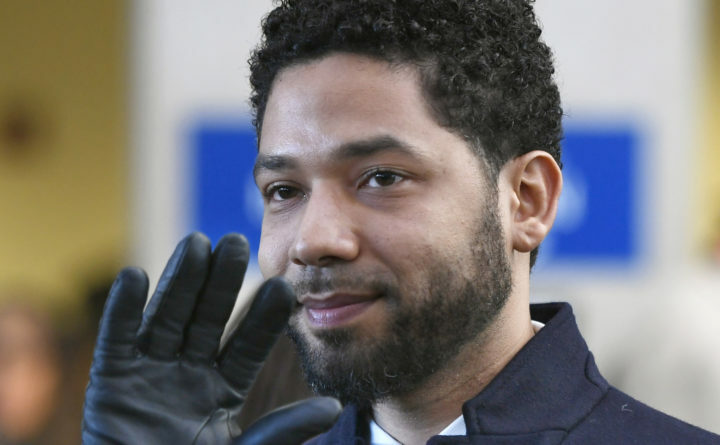 In a stunning about-face last month, however, Cook County State’s Attorney Kim Foxx’s office dropped the 16-count indictment against Smollett at an unannounced court hearing March 26. The suit noted that police found surveillance footage of the brothers waiting near the scene of the attack in the Streeterville neighborhood where Smollett resided. During a February interview on “Good Morning America,” Smollett identified the people caught on camera as definitely his attackers, according to the suit. Foxx, the first African-American woman elected Cook County state’s attorney on a reform platform in late 2016, has come under withering criticism, including calls for her resignation by the Chicago Fraternal Order of Police. Black community leaders have rallied to her support.